Costs inevitably rise, and prices have to follow. Customers, however, never like a price increase. That puts you in a bind. How can you raise your prices with the least possible negative feelings from your customers? A key – and often overlooked – step in a noticeable price increase is to thank your customers for the loyalty they have shown you in the past. Then be transparent in explaining the increase. If you have not raised your prices in a long time, point out how long it has been and how your costs have increased during that time. If your product or service has grown in value over that time because of internal improvements, don’t be afraid to draw attention to that, too. Don’t be defensive or apologize. Let them see that you’ve been fair with them and most will accept your increase without complaint. Rather than spring a price increase on them unsuspecting, announce it ahead of time. Turn it into a marketing opportunity. 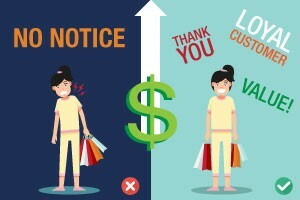 Encourage them to buy before the date the increase takes effect and you’ll likely see an increase in sales. Then, after the date passes, consider instituting a quantity discount to get them to continue buying. Apply your creativity to the pricing increase by working it into your overall marketing strategy. Give them reasons to feel like you’ve giving them a deal despite the increase and your price increase can actually help to build both sales and customer loyalty. Consider adding a similar offering at a price point either below or above the increased price point of the existing one. Adding a lower-priced, lower-quality offering will allow you to highlight the superior quality of the existing one, while still giving customers the option of buying a scaled down version at the same – or even lower – price than the original. On the other hand, adding a higher-priced but higher-quality offering – or bundling more features into the existing one – can shift customer attention from the increase to the comparable values of the two competing offerings. While an attractive option, adding an extra price point can be tricky. Will it enable you to get a leg up on your competitors, or will it give your competitors a leg up on you? You can ensure yourself of the data you need to make competitive pricing decisions with a comprehensive price monitoring tool like PriceManager. Knowing that your decisions are based on accurate data can help you make informed decisions that will help you institute a successful price increase without angering your customers.